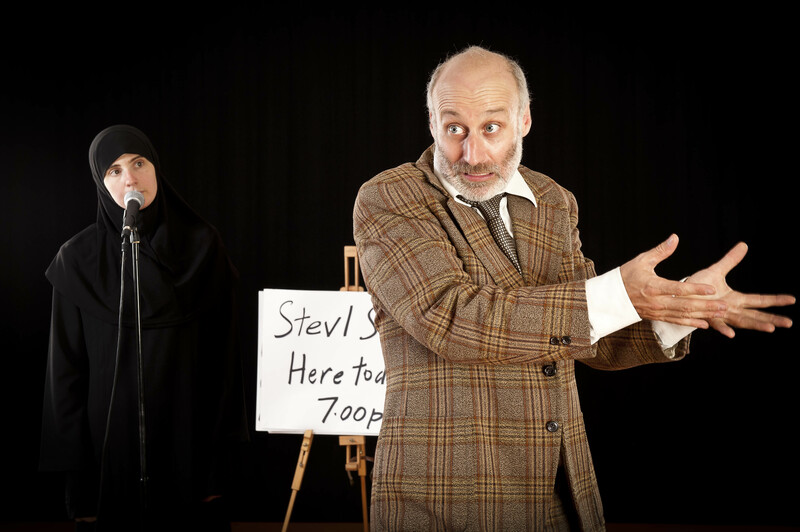 Meet Stevl Shefn – an enthusiastic man who speaks an unknown language, a tongue twisting childish gobbledygook that apparently means something quite different to what it sounds. And then there’s Fatima – a woman from the same unknown country, except her voice is very beautiful, low and sophisticated. At odds with Stevl’s childish playfulness, she translates… but is she actually translating what he is saying or is she having a joke at everyone’s expense. 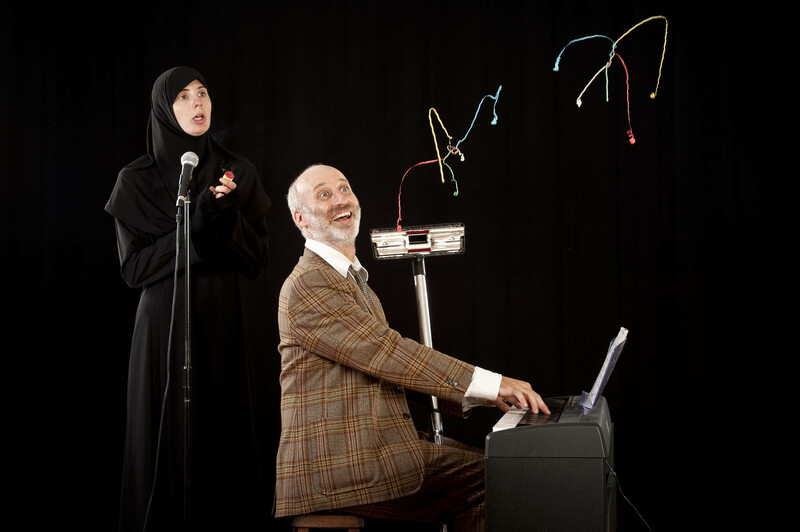 Combining voice play, physical humour and musical numbers with genuinely witty story telling, Stevl and Fatima take you on an off-beat and darkly funny journey through relationships. From dating to break-up, psychology to politics, it’s a subject that translates riotously when this duo is in charge. Brief Synopsis: A man speaking gibberish translated by a woman wearing a burqa tells a fantastical tale about his relationships. One story involves a vacuum cleaner who makes an appearance onstage. Adult themes. Duration 45mins. Stage requirements: 3m x 4m. Tech requirements: 1 x mic, 1 x DC for electric piano. Sound: CD player. Lights: One special light state plus general wash. 2 hour tech and initial set up. 15 minute set up/pull down.